I am so thrilled because I've gotten a new heroine: Candice Owens. WOW, what a Woman! She takes "Zero, Zip, Nada" Schist from the Jackasses. Why can't the rest of the Dumbasses grow a spine and come out fighting? I've been thinking exactly the same thing JW. 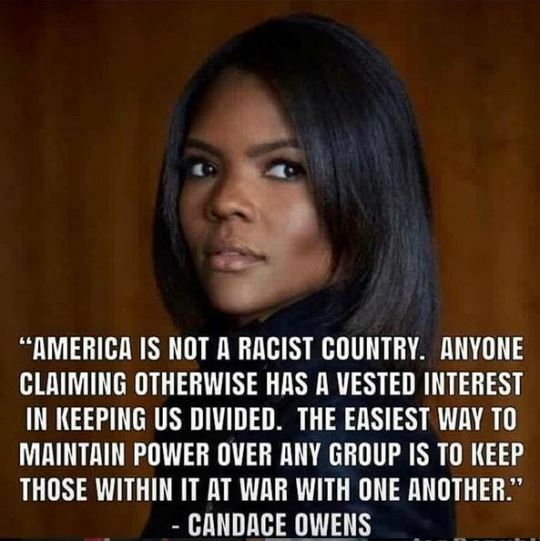 Candace Owens is the Director of Communications at the conservative advocacy group Turning Point USA. Which has just as much oompf as Obama's time as a community organizer at ACORN. Perhaps if Trump appoints her to a power post within his administration, her bonafides could be strengthened and allow her proven communication skills to shine.